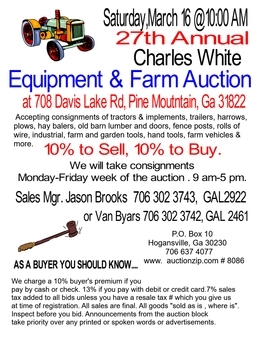 Click this link to view photos of the Charles White 27th Annual auction. 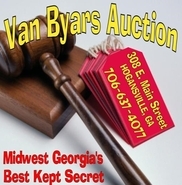 We post hundreds of pictures of items up for each auction. 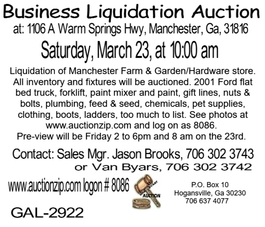 To view please go to https://www.auctionzip.com/cgi-bin/auctionlist.cgi and log in as 8086. 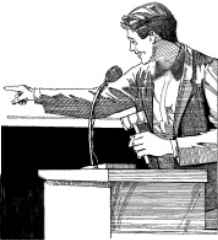 You will be taken to our website and will follow prompts to view pictures. Thank you for looking. 2019 promises to be a good year. We appreciate all our consignors and look forward to selling for you. 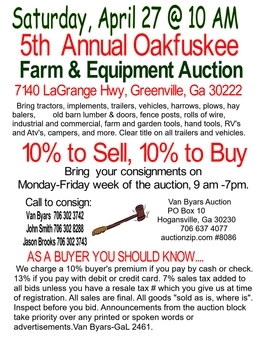 for everyone at a Van Byars auction. 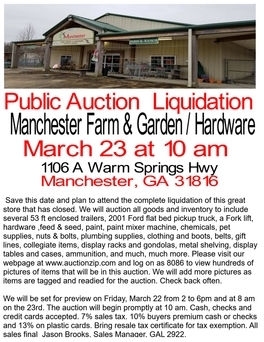 Click link below to view hundreds of photos for this auction in Manchester, GA. Thanks for looking.